This image shows the Mississippi River Delta Basin where the river meets the Gulf of Mexico. The Mississippi River has had a profound effect on the landforms of coastal Louisiana. The entire area is the product of sediment deposition following a rise in sea level about 5,000 years ago. For the last 1,200 years, sediment deposition has occurred primarily at the mouth of the river, also called the Mississippi River Delta Basin. 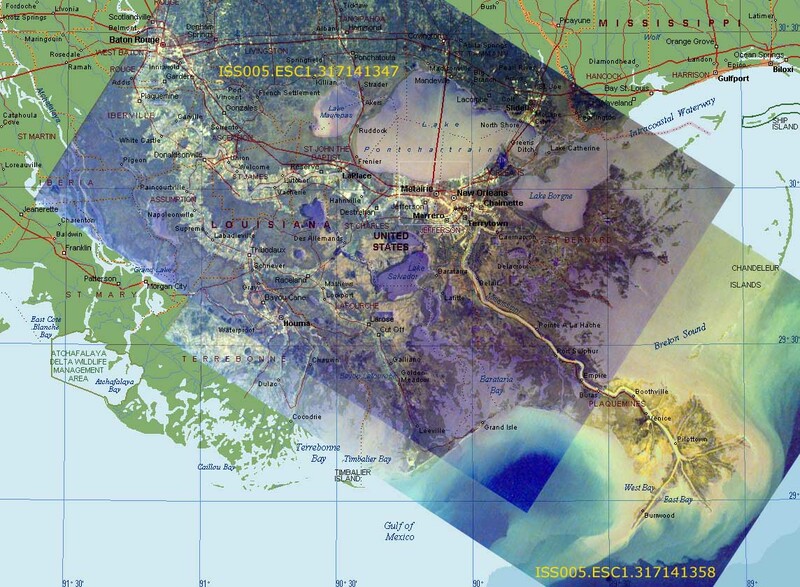 This delta is located on the edge of the continental shelf of North America near the Gulf of Mexico. Its "bird's foot" configuration is characteristic of alluvial deposition in deep water.